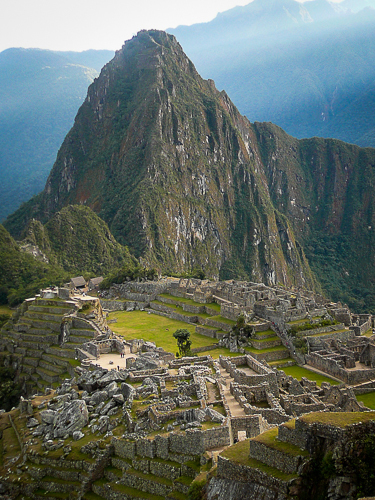 The history of Machu Picchu is a mystery. Was it where the great Incan Pachacutec instructed his people to hide during the Spanish invasion? 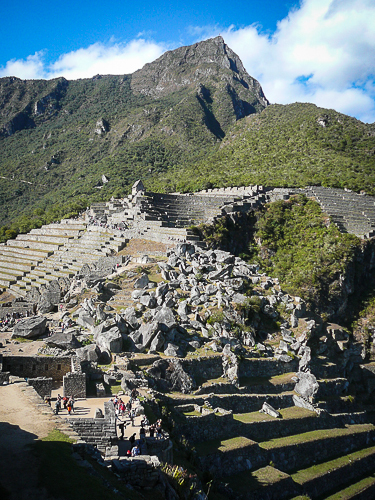 Was it the great economic center of the Incan culture? Or was it built as a prison to house those that had committed heinous crimes? 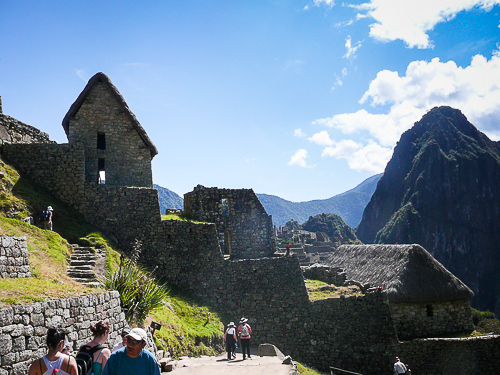 In it’s current state it is a beautiful reminder of what the Incan culture must have been like. In it’s former state it must have been an imposing city in the mountains. I lean toward the theory of economic center but with all the amazing temples it must have been even more than that. The Incans ingenuity and precision is astounding. The site looks to have been built from the remains of a long ago rockslide. There is evidence throughout the site of fallen rocks being incorporated into several buildings. The ‘quarry’ area consists of rocks in their original position, some have carving work, others appear to be in the process of being split or shaped. The buildings and stonework are stunning displays of form, function and astounding astronomical and geographic knowledge. Stones are placed, or carved, to match exactly with the sun’s winter and summer solstice positions or to line up along the ordinal geographic lines. Seeing a rock carved into the shape of the Incan Cross and then shown, using a compass, that the points of the cross face due north, south, east and west, I was amazed at the knowledge that the Incans must have had. 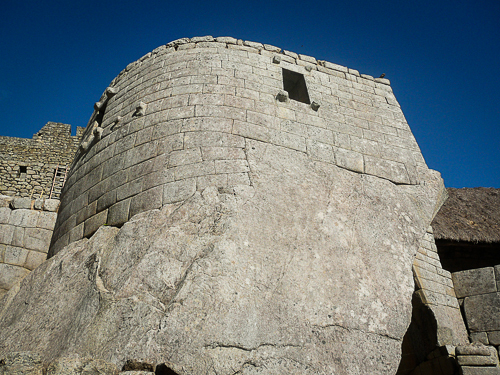 We had seen Inca stonework in Cusco, but here it was on a much grander scale. Entire temples built using massive stones, stacked upon each other as if they were made to be that way. No mortar, no mud…just intricate carving until they all fit together. And how did they do all this work with no modern machinery? It’s impossible for me to imagine how many people must have worked and lived on the site. Even when teeming with tourists, I don’t imagine the number of people on site matches the number of those that must have lived there. It was amazing to just wander around the site and take it all in. It was even better having walked the same path that the Incans walked to get there.